Not wanting to return to my hometown of Kansas City, Missouri, I called my father. He was living in El Paso at the time, and having visited the city once, I thought maybe this could be a place where I could manage to get back on my feet. Sure enough, I was driving from LA to El Paso within days of that call. My plan was a six-month reboot. August of this year, 2018, marks my five-year anniversary in El Paso. I wasn’t sure what to expect from El Paso. I knew it was the desert, so brown and hot. I knew it was a border town, but had no real understanding of what that meant or how close Mexico was. I had heard vaguely about the violence and drugs across the border, but my father informed me (and calmed my mother) that El Paso was a safe city despite that. None of that mattered to me. I just wanted something different. My first impressions of the city were formed during my first six months when I kept to myself, didn’t do much and felt isolated. I did take full advantage of the weather and landscape by hiking and biking, and came to appreciate the mountainous landscape more. During this time I fell in love with the city. Soon I would get a job and start meeting people. My social circle grew quickly as I met many friendly and welcoming people. 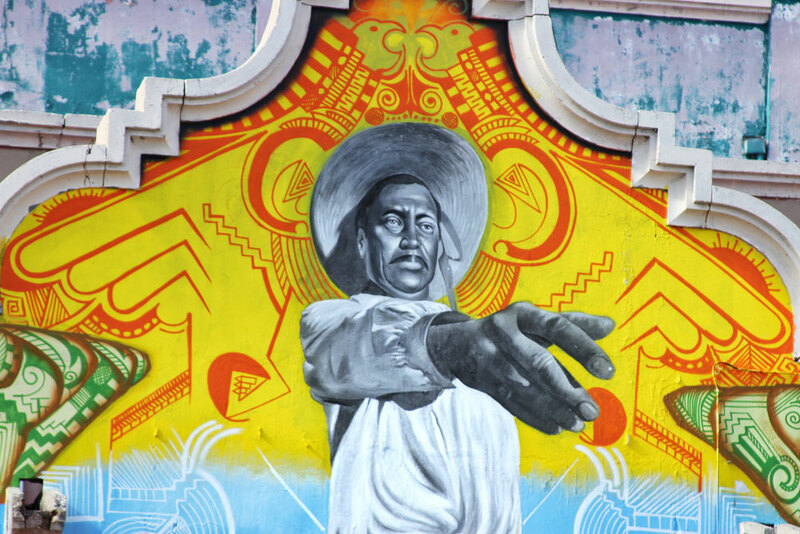 The stories of Juarez never scared me enough to stay away. I have been to Juarez numerous times, on foot, in car and even on a bicycle, and have never felt a threat or unsafe. Same goes for this side of the border. El Paso has felt home-y and safe to me since I’ve been here. 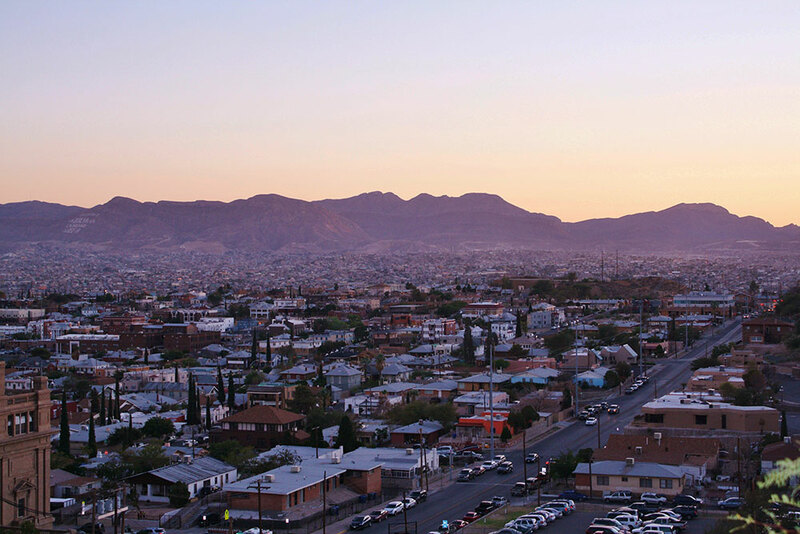 I think misconceptions about this city and Juarez are valid, in that the violence and drugs are real and are happening, but they don’t dictate day-to-day life for most people. Outsiders who place those misconceptions on this city need more insight, more research and a true experience like I’ve had to provide information. I find the proximity of the two cities to be exciting, collaborative and rich. After countless jobs, trials and errors, laughs and tears, I feel I have finally found my place here. I would eventually find a yoga studio that would become my second home, and be the place where I would find one of my life’s passions: teaching yoga. I made my way back to higher education and started attending The University of Texas at El Paso, where my studies in communication intrigue and excite me each day. Ultimately, the people are what has won me over. I have met amazing people, racially and ethnically diverse people from all walks of life that uplift me, inspire me, challenge me and love me for who I am. I have never met a community that has so much respect and understanding for one another. I’m not sure if it’s the border, the culture, the history, but whatever it is, it works. I am not Mexican, but I am Latina and being here has helped me get in touch with that side of me. That’s something I have really loved about being here as well. Overall, my experience here has been a delight. This place has helped me grow into a person that I really love. It inspires me, it’s full of potential, activism, community, strong bonds I’ve never really felt and ultimately, I feel the love here. I’m beyond blessed that life has lead me here. So, I want to thank you El Paso. You’ve been a life saver. Samantha Turley is a multimedia journalism major at UT El Paso.